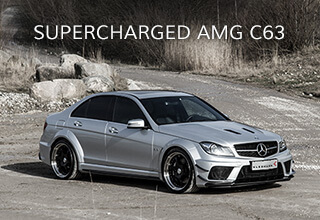 No tricks here, only power and performance! 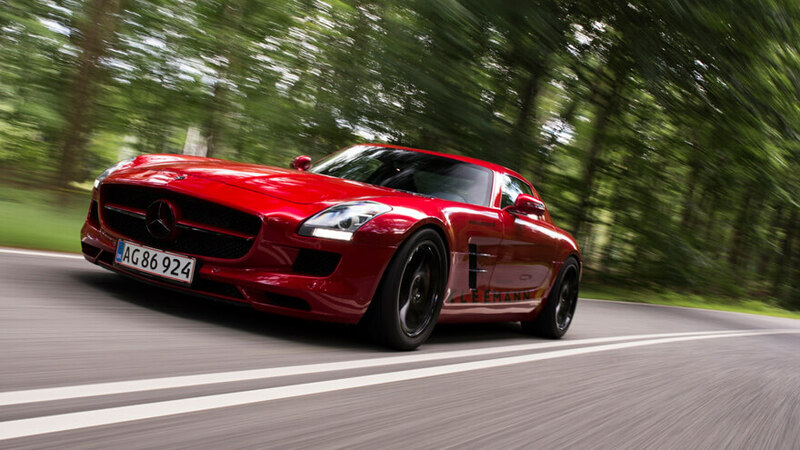 A tremendous power package for the already fast and tremendously well manufactured SLS AMG. 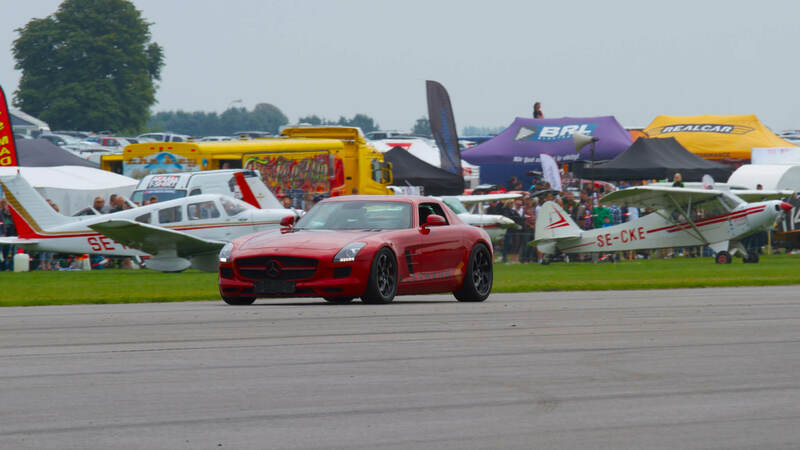 The power package is focused solely around the engine and exhaust system, as the only thing the SLS needs to give it an even higher thrill level……. IS BRUTAL POWER. 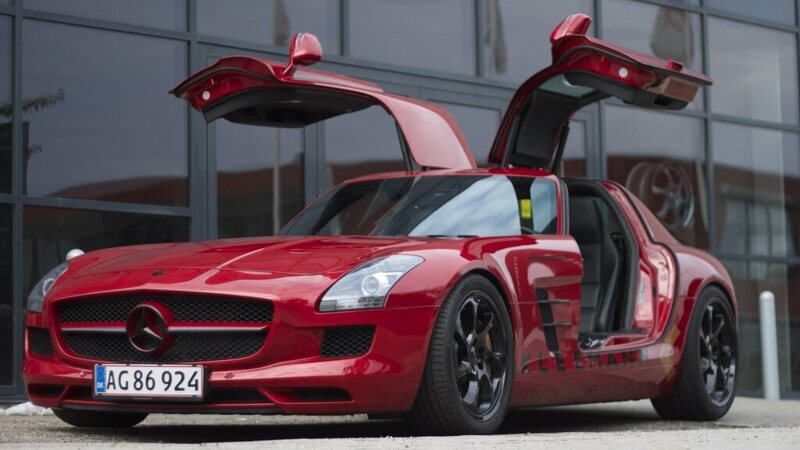 The SLS AMG‘s high revving 6,2 L normally aspirated V8 engine is changed into a furious power house by the KLEEMANN SUPERCHARGER. The in house developed and manufactured Supercharger system is manufactured from billet aluminum, carefully milled out from solid alloy blocks, and black anodized. The finished assembly looks and feels factory, there is no disappointment when the bonnet is popped. In the highest performance trim, the exhaust system has undergone a complete redesign as well. The optional polished stainless exhaust system comes in 2 variants. A bolt on cat back system with a dual mid muffler and X section plus a flapper controlled rear section. This can be operated with a remote control for neighbor friendly sound levels to the sound of a race car. the addition of new catalyst section gives the super car an even better sound, and most importantly, it frees the exhaust flow and the heat buildup against the engine allowing the Supercharger to be geared to a higher ratio. 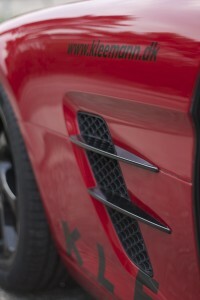 The combined exhaust and ratio change safely adds 50 more horse power. Nine months of work and thousands of testing hours has not only made the system work flawlessly, but given it the feeling of driving a factory car, just much more powerful. The engine builds power smoothly all the way to the rev limiter, the engine does not feel supercharged at all. Torque production is immediate and ever present through the rev range, no matter what gear or RPM, there is tire roasting torque available. 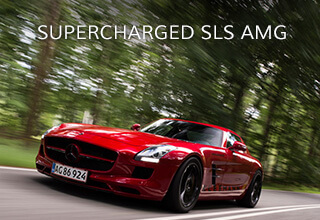 The KLEEMANN power package gives the super sports car explosive power under the long bonnet of the SLS. 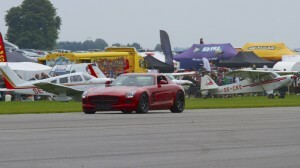 770 HP and 845 NM rockets the KLEEMANN SLS against the horizon.The result is quite breathtaking. Even with ESP on, the Continental tires will scream for mercy. The ESP works as hard as it can, but to no avail, the warning lamp will flash up to 150 km/h before it is off duty. 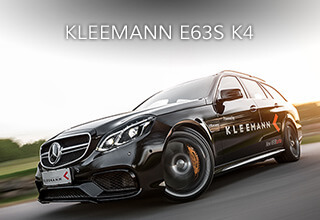 0-100 km/h arrives in just 3,3 seconds. The digital numbers in the center of the cluster jump in incomprehensible chunks as it reaches 200 km/h in only 9,3 sec. The same unstoppable tempo persists, passing 300 Km/has quickly as more pedestrian cars pass 100 km/h. The V-max is unlimited, the KLEEMANN SLS runs right into the rpm limiter in 7th gear where the digital cluster shows 356 km/h.Few ground-moving vehicles can match the performance of the KLEEMANN SLS.